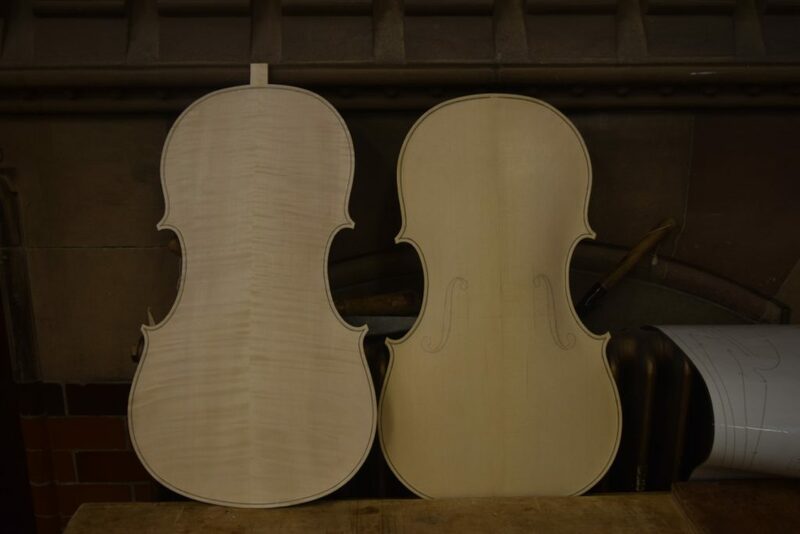 Throughout my time at Newark School of Violin Making, I have found myself more and more interested in making cellos, quickly deciding that this was where my passion lay. The only problem was the high cost for materials and fittings. I applied to the RAB trust, and was awarded money to help buy wood. With this money, I was able to buy some really nice wood, that I otherwise could not have afforded. In addition, it gave me the financial freedom to make another cello in my final year. After NVSM, I plan on setting myself up on my own, solely making cellos. Being able to make as many cellos as possible while still at school has allowed me to gain as much experience as possible, hopefully standing me in good stead for my career.